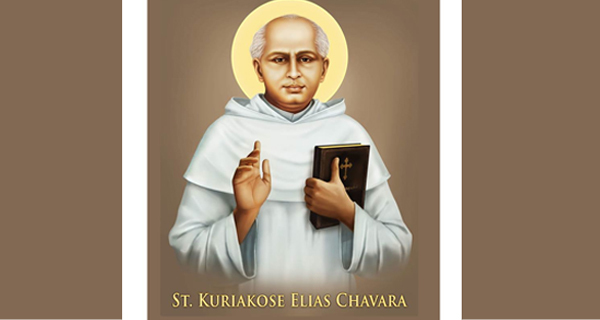 St. Kuriakose Elias Chavara (1805-1871) is the guiding light and patron saint of Chavara Cultural Centre. Renowned as a spiritual leader and social reformer, St. Kuriakose Elias Chavara is a native of Kerala in India. The Catholic Church raised him to the eminence of a saint on November 23, 2014 on account of his heroic spiritual life and innovative humanitarian services to empower the downtrodden. As an ardent admirer of Indian culture and tradition, he established the first Sanskrit School in 1846 to teach Sanskrit to all who are interested in mastering the language. 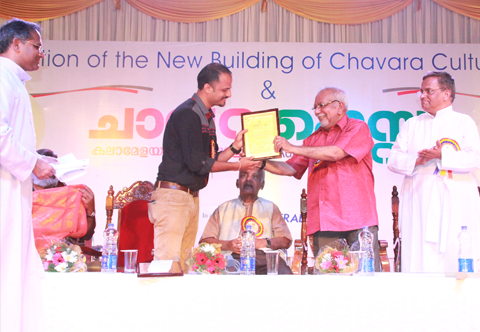 It was with the help of schools that St. Kuriakose Elias Chavara proved Kerala could formulate a civil society for sharing knowledge, culture and tradition with the rest of the world. Therefore, 1864 may be rightly considered as the era that kindled the formulation of the civil society in Kerala, crediting St. Kuriakose Elias Chavara as the Father of Civil Society in Kerala. 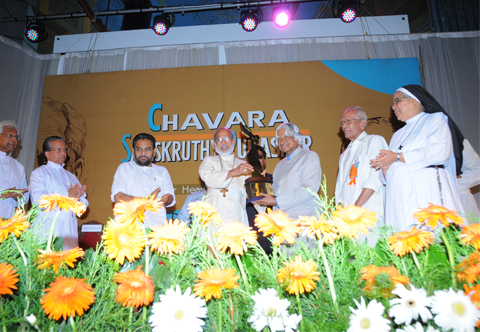 St. Kuriakose Elias Chavara was deeply involved in the spiritual enlightenment, social empowerment and economic well-being of women in India. He thus established the Congregation of Mother of Carmel (CMC) - the first order of the Christian feminine spirituality – as well as innumerable schools, exclusively meant to provide education for girls. He also sought to empower women by introducing home-based, small-scale industrial units that employed women in creating Christian artefact, handicrafts, candles and paper flowers among many others. Over 3000 families have been thus made self-reliant by empowering their women and female children. These revolutionary steps towards women empowerment enabled Kerala to march ahead of other states across India, especially in the total enrolment ratio of girls in schools even at the secondary education level. 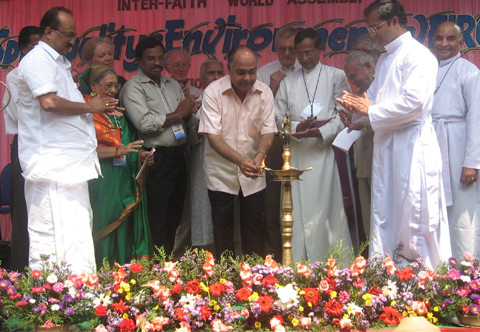 On the Arabian coast at Kainakary in Kuttanadu, in the diocese of Changanasesry, Kerala, India Kuriakose Elias Chavara was born on February 10, 1805 as the sixth child of parents Kuriakos and Mariam. The Chavara family is believed to be the descendant of the Pakalomattam family, one of the four that claim descent from the time of St.Thomas at Palayur, central Kerala. On 8th September 1805 the child Kuriakose was dedicated to the Blessed Virgin Mary at the Marian shrine in Vechoor. At the age of five, he began his studies in the village school, called Kalari under a village master called Ashan. There he continued his studies until he was ten years old. 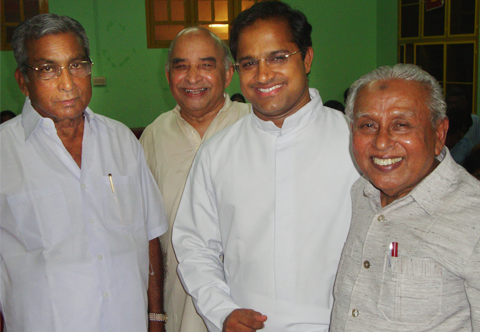 Then Malpan Fr.Thomas Palackal invited him to his seminary at pallipuram. Subsequently as he was too young he spent about two years in the parish rectory under the care of the zealous and loving parish priest. Here his parents also discerned his divine call. In the year 1818 he joined the Pallipuram seminary under the tutelage of Malpan Thomas Palackal. Not long after the tonsure he received, there was an epidemic in Kainakary and surroundings. His loving father, his good mother, and his only brother fell prey to the epidemic. Frs. 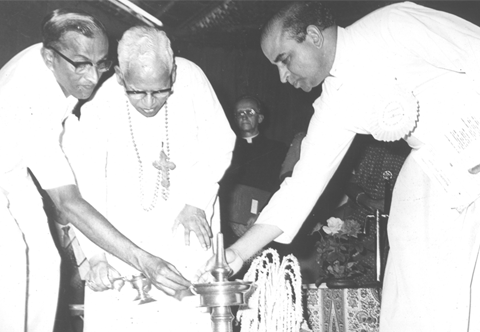 Thomas Palackal, Thomas Porukara and Kuriakose Chavara having the same motivation of starting a religious community life, had several occasions to meet together at the vicariate of Verapoly or at the seminary of Pallipuram to discuss the idea of a religious institute. By the words of saint Chavara, from the first page of his chronicle, we may allude to the request fathers Palackal and Porukara placed before the bishop Maurelius Stabilini “Seeing that a lot of good has not been done due to the absence of a Thapasu Bhavanam (house of discipline) in Kerala even for priests, we desire to start a ‘Darsana Veed (house of vision) at least for priests”. The Vicar Apostolic, finally on 1st November 1829, granted permission to establish a religious house. On May 11, 1831, the foundation stone for the proposed religious house was laid at Mannanam dedicating it to St.Joseph. This was the first indigenous religious institute for men in the Indian Church of modern times, known now as Carmelites of Mary Immaculate (CMI). Jacob Kanianthara, who later became the first professed brother in the congregation also co-operated with those three founding fathers from the beginning. In 1841, Malpan Thomas Palackal, and in 1846 Malpan Thomas Poroukara died, leaving the whole burdens of organizing the religious community to Fr. Kuriakose Chavara. On 8th December 1855, Fr.Chavara with his eleven companions made their religious vows assuming Fr.Chavara as superior (prior) of the religious community. 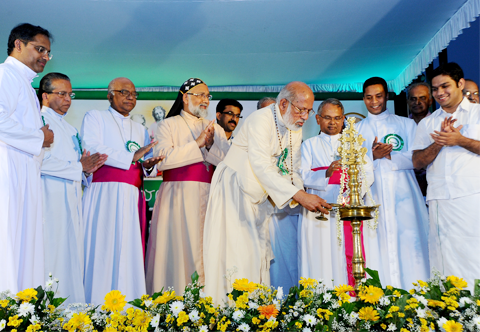 Starting seven religious houses, besides the first one at Mannanam, in different parts of Kerala, the new congregation made great strides in the spiritual renovation in the Kerala Church. Seminaries for the education and formation of clergy, introduction of annual retreats for priests and laity, publishing house for the propagation of Catholic doctrine and social information, house for the destitutes and dying, special attention to start catechumenates, reunion movement, schools for the general education etc were among the few of various activities under Fr. 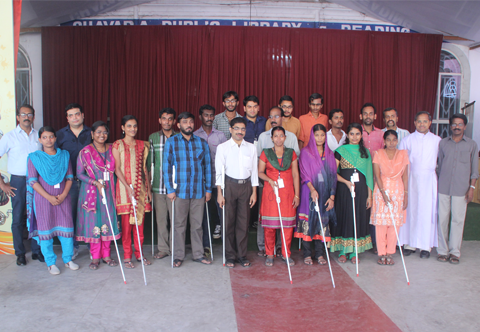 Kuriakose Elisa’s leadership. Thus he focused the ministry of the congregation to educate the uneducated, to help them who desire to enter the catholic fold, to work for the reunion of separated brothern, to safeguard the well being of the countries and the world at large, aiming at the renewal of the church and society and willing to do all that are seen good for others A schism threatened the church of Kerala in 1861, creating a very critical situation. 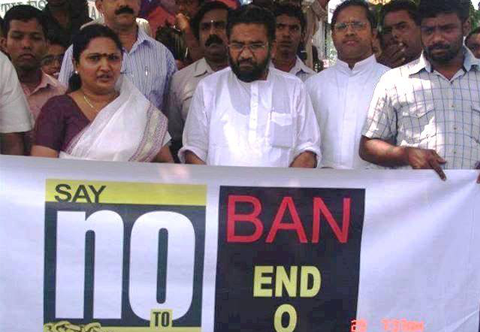 Fr.Kuriakose Elias Chavara, the then appointed Vicar General of Syro-Malabar Church, is gratefully remembered and acknowledged for his strenuous fight, strong stance and effective leadership in thwarting Thomas Rocco’s intrusion and saving the church of Kerala from the Schism.